Currencies traded in a mixed manner in the last week of Q1. A rate decision in Australia, the FOMC meeting minutes a full build-up to the all-important Non-Farm Payrolls stand out. These are the top events on forex calendar. US ISM Manufacturing PMI: Monday, 14:00. Manufacturing PMI is expected to decline to 57.2 in March. Australian rate decision: Tuesday, 3:30. US ADP Non-Farm Employment Change: Wednesday, 12:15. ADP report is expected to show a 191,000 jobs gain in March. US ISM Non-Manufacturing PMI: Wednesday, 14:00. Non-Manufacturing PMI is expected to reach 57.1 this time. US FOMC Meeting Minutes: Wednesday, 18:00. Minutes from the Fed’s rate hike meeting in March will be released in April, providing an in-depth account on the reasons behind the 0.25 percentage point rate rise. US Unemployment Claims: Thursday, 12:30.Jobless claims is expected to reach 251,000 this week. Canadian employment data: Friday, 12:30. Economists expect Canadian job creation of 5,700 and a rise to 6.7% in the unemployment rate. US Non-Farm Employment Payrolls: Friday, 12:30.US jobs report for March is expected to show a job gain of 176,000 while the unemployment rate is expected to remain unchanged at 4.7%. 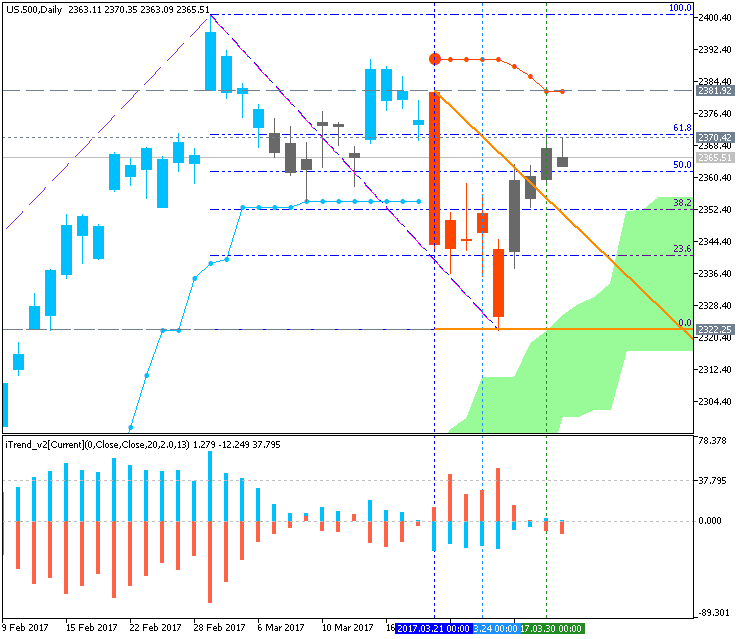 The Nikkei 225 seems to be in a spot of technical trouble, at least when looked at from a short-term perspective. This might not be obvious. After all, the index has been meandering for a couple of weeks, notching up almost as many rising days as fallers. Nevertheless, it has remained capped by a downward-sloping trend line in place since mid-March. That’s not good news for the bulls. 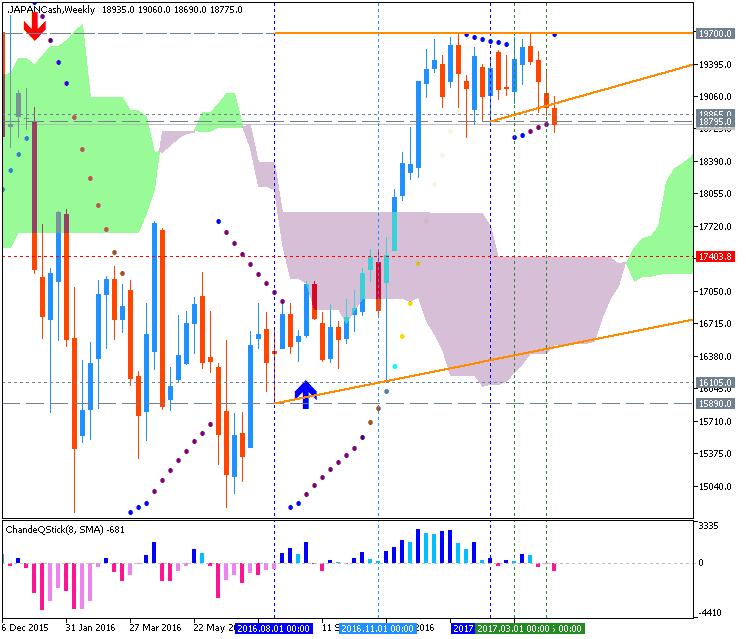 Given current daily trading ranges a quick retake of that point looks like a big ask. This puts short-term focus on the downside, where clear support remans hard to sport until we get all the way back to 18823, which arrested the index’s early-February slide. Longer-term however, the picture looks a little brighter. 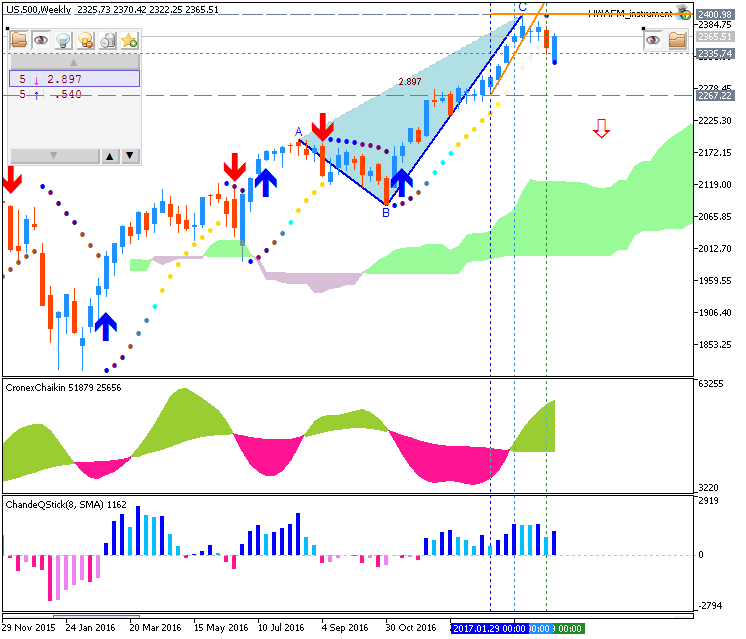 The Nikkei remains very well within an ascending channel which began back in July 2016. The base of that channel is miles away to the downside at around 17500.